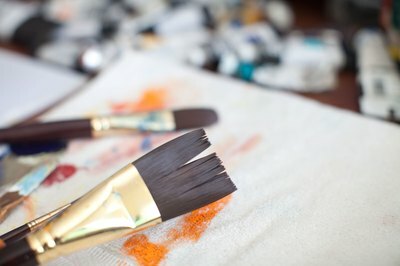 Knowing the different types of brushstrokes that can be used when painting is essential for the artist who wishes to achieve a variety of textures and realistic effects in a painting. 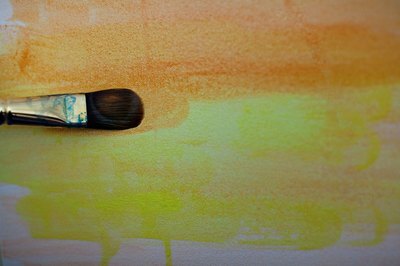 Using different brushes can result in various effects, as can alternating between lighter or heavier pressure when painting. 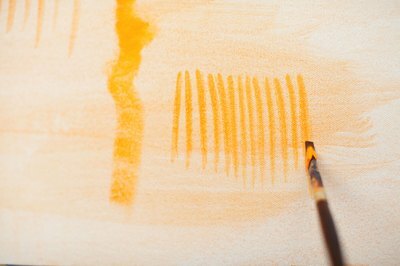 Read on to discover the basic brushstrokes, and put them to use in your next work of art. Glazing is a technique that requires layering of more than one color. The effect that is achieved with glazing reveals multiple levels of color which lend to a more dynamic effect than strokes using single colors. 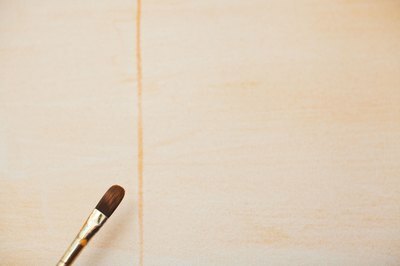 Using any type of brush, thin the paint with water or paint medium (such as linseed oil for use with oil paints) and paint a base-coat layer. With a clean brush, paint a complementary color over the base coat. The layers can be painted in succession while the paint is still wet; alternatively, paint layers after the existing layer has dried. Keeping the paint thin will help reveal the various colors. Smooth strokes can be horizontal, vertical or angled and are used to portray hard or solid surfaces with straight lines such as floors and buildings. 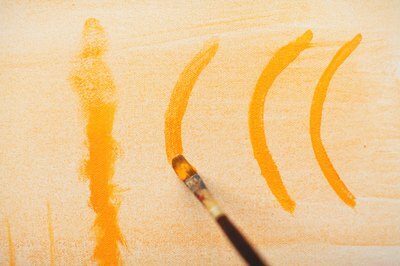 Load a round brush with paint that is thin in consistency, then glide the brush across the surface, maintaining an even line through the end of the stroke. To portray water, hair, the lines of hills or other objects with long, flowing lines, use a round brush with paint that is thinned either with water or paint medium. Give brushstrokes a slight wave for a flowing look. 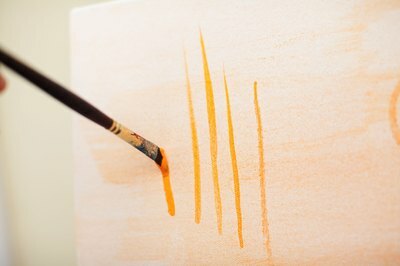 With a round or flat brush, create parallel lines by stroking upward with the tip of the brush, using quick wrist flicks. Parallel brush strokes can form arcs, straight lines and diagonal lines and are useful for portraying details like animal fur. Vary stroke lengths to achieve a realistic effect. 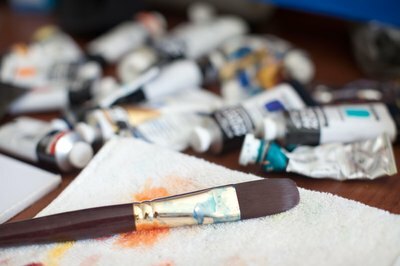 Like glazing, the drybrush or scumbling technique entails layering colors. To create the effect, thin paint with water or paint medium, then load the brush with paint. Before painting over the existing paint layer, dab the brush on a paper towel to remove some of the paint. This will result in an uneven, jagged effect with broken lines to suggest texture. 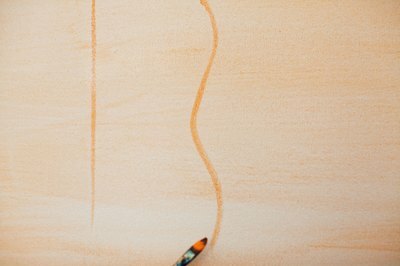 With a flat or round brush, dab the surface in vertical strokes. Use quick upward or downward motions to portray surfaces such as grass or fringe detail. Semicircular brushstrokes are good for skies and rounded organic forms. Using a flat brush or shader, dab the paint in semicircles. For a more textured look, use more paint; for a smoother effect, use less.